Tom Weiss of Vernon, NJ has a cameo speaking role in this video. See the last half of the 50 minute rail jam. The riders and skiers had a vote in deciding the winners as well as the judges. Award ceremony and podium too. We chat with old friend and past Rails to Riches winner Cassandra Herbes of Sparta, NJ as she picks up her prize money. 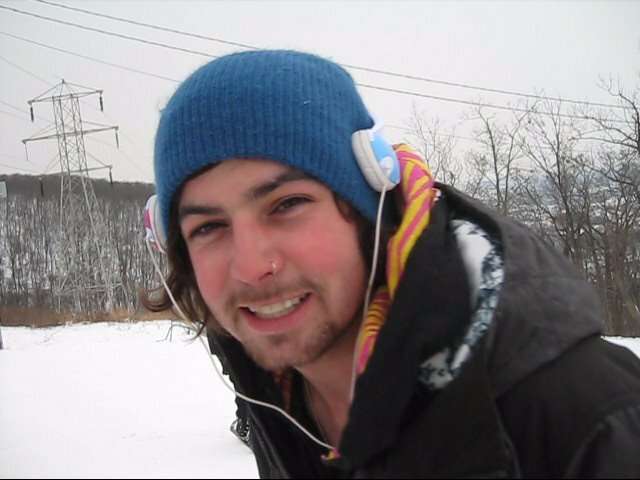 Speaking of Sparta, see our interview with Kade Madsen and the Sparta Crew at the NY Snow Film Fest on SnowboardSecrets.TV. And see our coverage of Rails to Riches 2006 where Kade came in third at http://www.snowboardsecrets.com/Articles/Rails2Riches06.htm. Video by Lauren Traub Teton exculsive for SnowboardSecrets.TV. Killington, VT hosted Rails to Riches annual rail jam on December 11, 2010. Over 100 snowboarders and skiers entered. In Part 1 we watch the action on the handrails. Be sure to see more action in Part Deux and also see the separate interviews from this afternoon where we interviewed the winners BEFORE the rail jam! Shaun Murphy, Laura Rogowski, and Megan Dorsey Interviews on SnowboardSecrets.TV. Video by Lauren Traub Teton exclusive for SnowboardSecrets.TV.